Boo Burgers are what we call the meat patties from A & W that we started buying a few years ago for the dogs. Boo, the eldest, didn’t want to eat on the road in the beginning and we tried all manner of temptations. We discovered that he would eat the burger meat pattie from A & W as long as it was plain with no season salt. So, that’s how they came to be called Boo Burgers. I was reading an article on the newly discovered manuscript of Harper Lee, she was the author of just one novel To Kill a Mockingbird and the new one would be called To Set a Watchmen. I was amused to come across that Boo Burger’s were on the menu at the Courthouse Cafe in Monroeville? To Kill a Mockingbird is set in Monroeville apparently and they have taken full advantage of the connection to the famous book as a tourist thing. 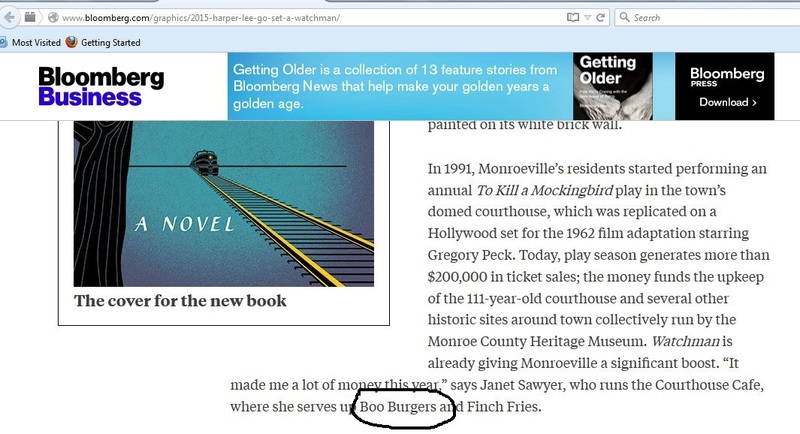 Off I went to Google and see what the connection was with Boo Burgers and the book. Turns out Boo is a character in the book, go figure. Comic-Con 2015 has basically come and gone now in San Diego. 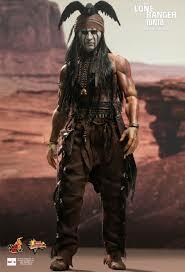 If I could have attended I would have dressed up as Johnny Depp’s character Tonto in the Lone Ranger remake. Although critics panned the movie somewhat I found it very entertaining and I particularly like the message, “the sickness of greed is very strong”.